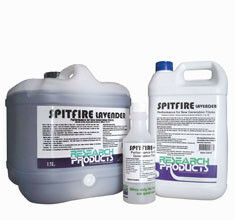 RESEARCH SPITFIRE LAVENDER CARPET PRESPRAY 5 LITRES Ultra-fast action, carpet prespray/spotter, neutral pH, safe on wool and stain release fibres. 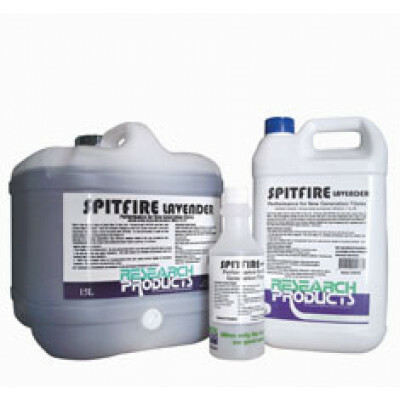 One of the industry's leading prespray products. pH meets ANZS 3733 so it is safe on all carpet fibres. Sets a cleaning result that all others will aspire to.